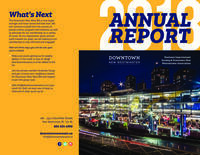 Originally formed in 1989, the Downtown New West BIA provides many benefits for its members, enabling property owners and businesses to work together on an ongoing basis to assist in the revitalization and promotion of Downtown New West. We represent the interests of over 400 businesses and property owners located from the Fraser River waterfront up to Royal Avenue, and from the Pattullo Bridge to 10th Street. With lots of new and exciting additions such as Westminster Pier Park, River Market, and Anvil Centre, Downtown New West is now a vibrant and trendy area with the some of the hottest and most unique shops and restaurants calling our streets home.